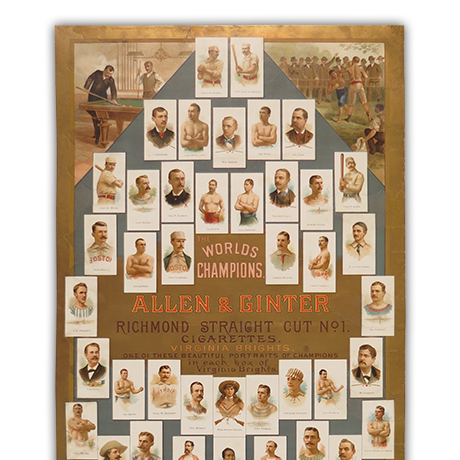 Featuring the designs of trading cards included in packs of cigarettes, this Allen & Ginter advertisement had become exceedingly weak and brittle over the years since it was printed in 1887. 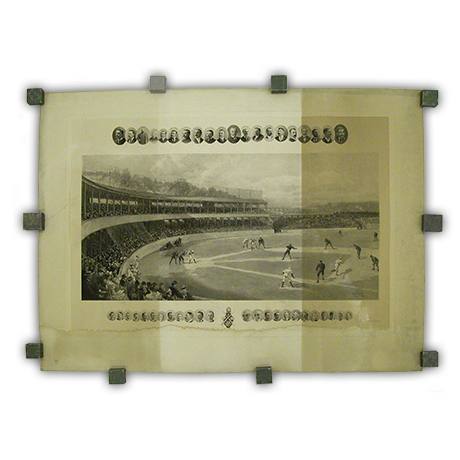 To transform a piece this damaged, our conservators filled and inpainted areas of the print lost through insect damage, repaired numerous tears, and strengthened the print with a lining. 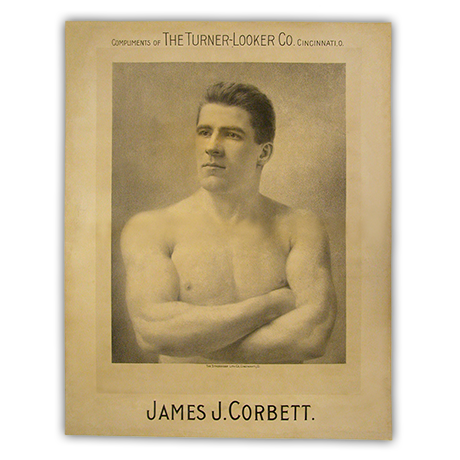 Another victim of improper framing, this print of boxer “Gentleman Jim Corbett” was blemished through its contact with acidic materials in its frame. 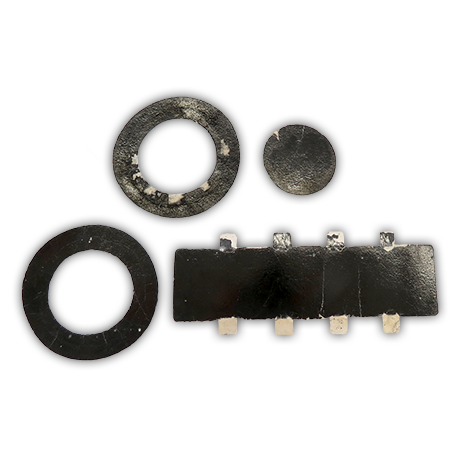 The piece was deacidified and stabilized in our lab. 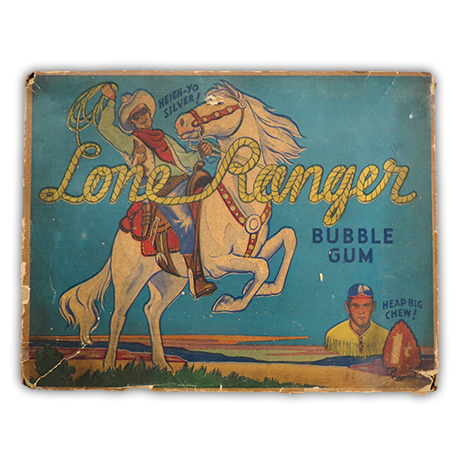 Repairing the tears and filling the ragged edges of the piece with liquid paper pulp were the next steps in this item’s treatment. 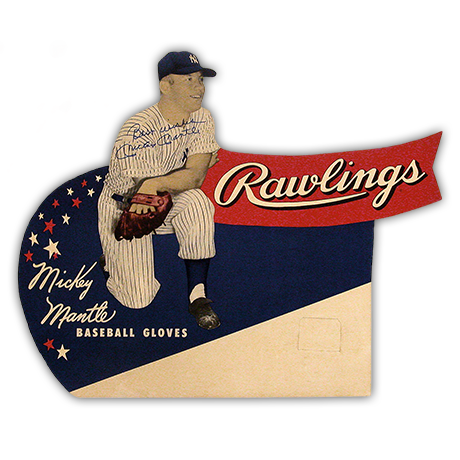 This point-of-purchase display for Mickey Mantle Baseball Gloves consists of paper on board. Brittle with age, the board had broken in two near the top and required reattachment. After repairing the board, our conservators inpainted areas of ink that had been lost due to insect damage. 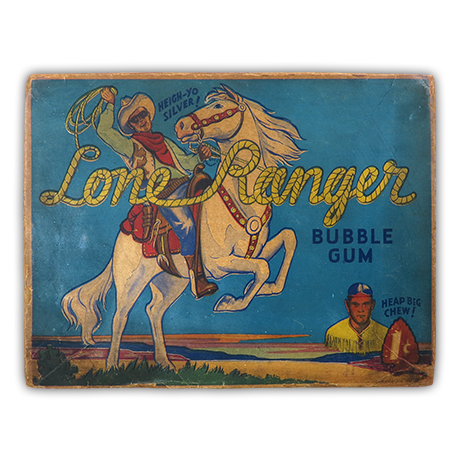 Conserving this Lone Ranger Bubble Gum box was a challenge due to its 3-dimensional nature. 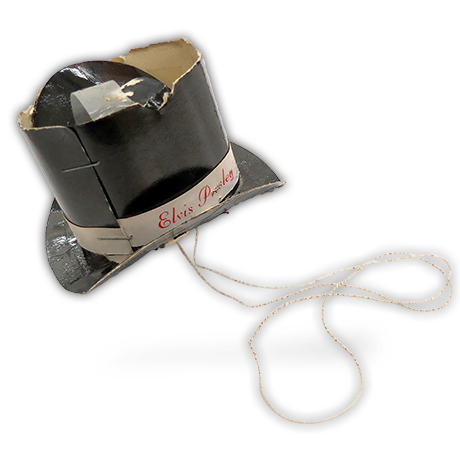 The aged box showed extreme wear with torn paper and chipped board throughout. Our conservators removed tape from the inside of the box, cleaned the accumulated dirt from the surface, and repaired the tears and board losses. 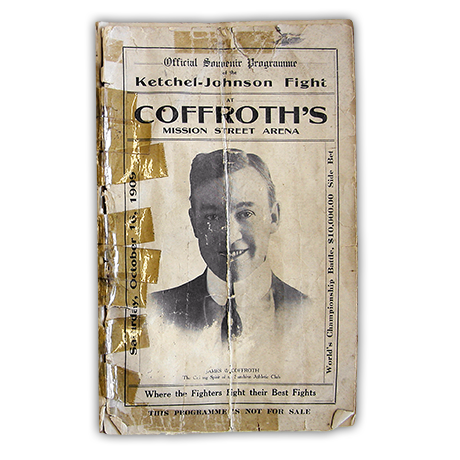 To complete the restoration of the box, they then inpainted areas of lost ink. 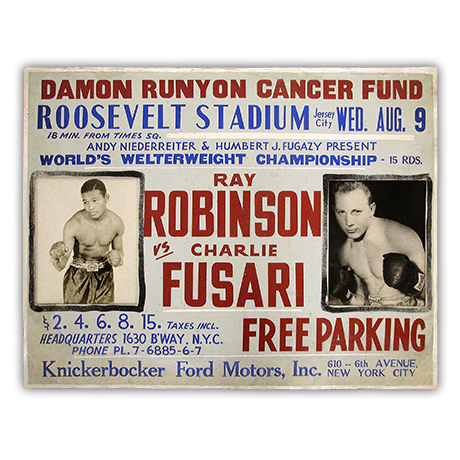 Featuring photographs of Ray Robinson and Charlie Fusari, this event poster on board needed extensive treatment. 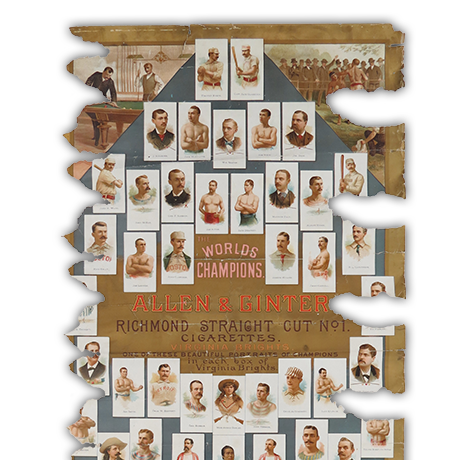 Although the piece could not be washed due to the nature of the board, stains were reduced locally and paper remnants and adhesive residue were removed from the top of the board. 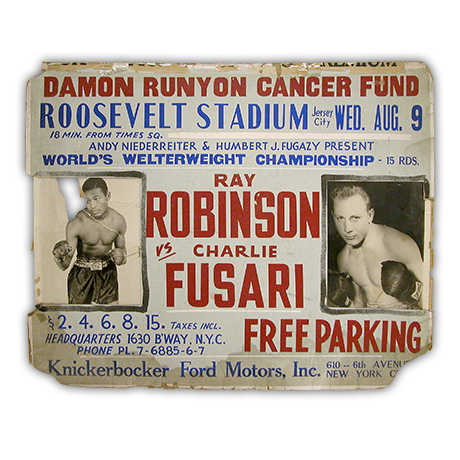 Areas of board that had broken off were filled and inpainted to restore the poster for display. 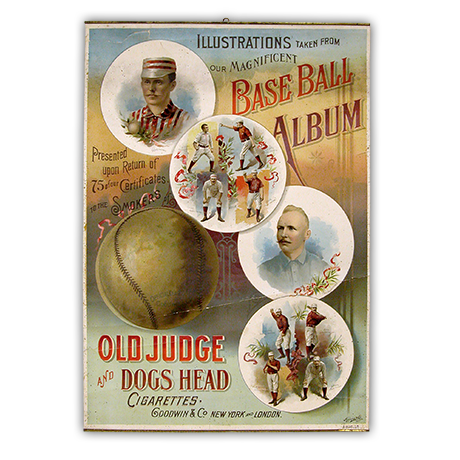 A very rare item in the world of sports memorabilia, this promotional baseball poster also happens to be a complicated object to treat because of the metal bars at its top and bottom. Our conservators cleaned the accumulated filth from the surface of the piece and repaired and reinforced its tears and creases. Areas of ink lost through creasing were restored by inpainting. 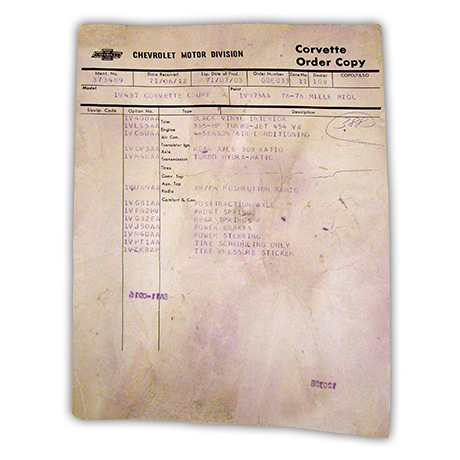 Torn, wrinkled, and soiled with oil and dirt, this original Corvette receipt needed a great deal of treatment to restore it. 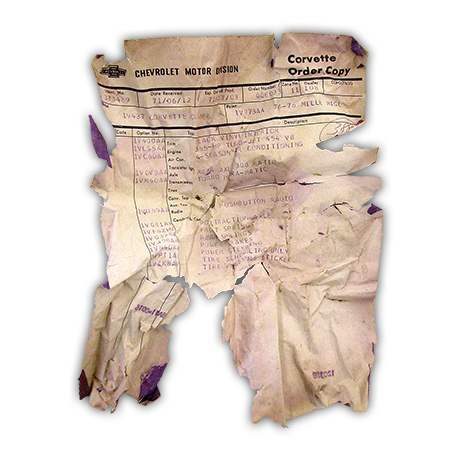 After cleaning and flattening the receipt, our conservators repaired the tears and used matching antique paper to replace the areas of the receipt that had been torn away. 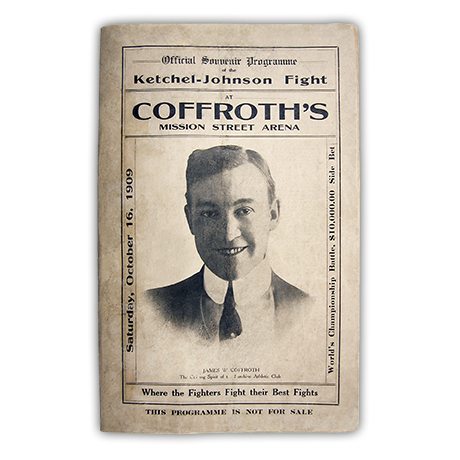 This boxing programme from 1909 was extremely torn, dog-eared, and falling apart at the spine. 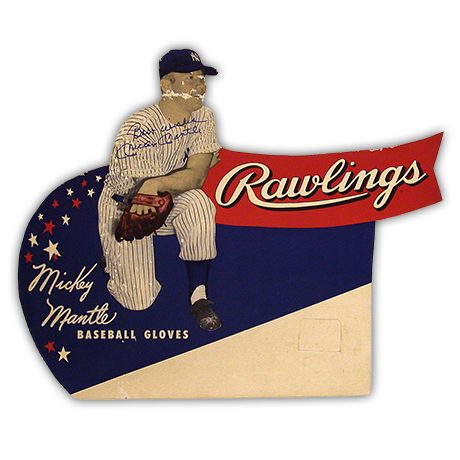 Improperly repaired with tape, the booklet was marred with adhesive stains and a central crease. To clean and treat this piece, our conservators removed the tape and dismantled the booklet. After fixing the tears, flattening the crease, and inpainting the areas of ink that had worn off, our conservators reassembled the restored programme. 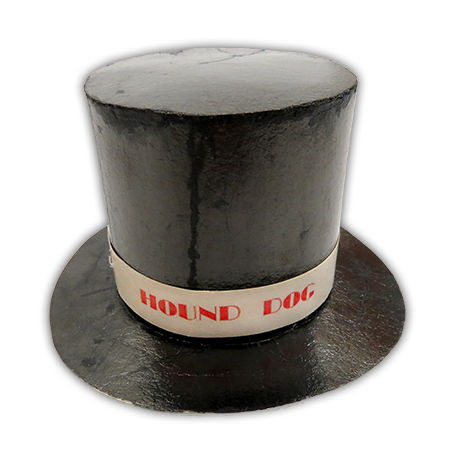 This miniature paper hat was badly damaged when it arrived in our lab. 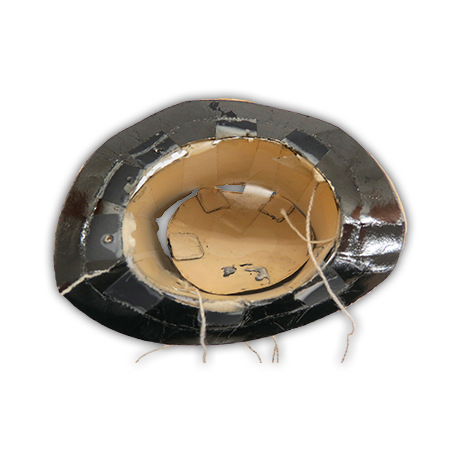 After removing the tape that was holding the torn brim to the rest of the hat, our conservators cleaned and locally flattened the pieces of the hat. 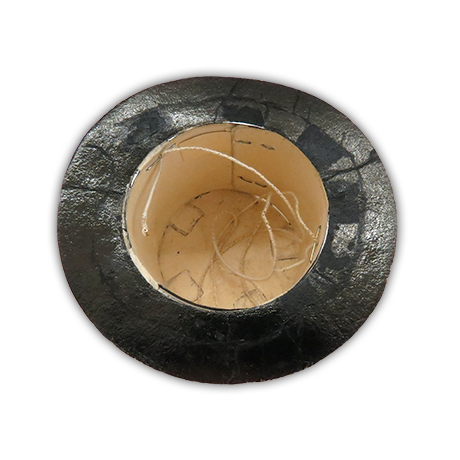 They then repaired the tears and reattached the pieces, inpainting areas where the ink had worn off. 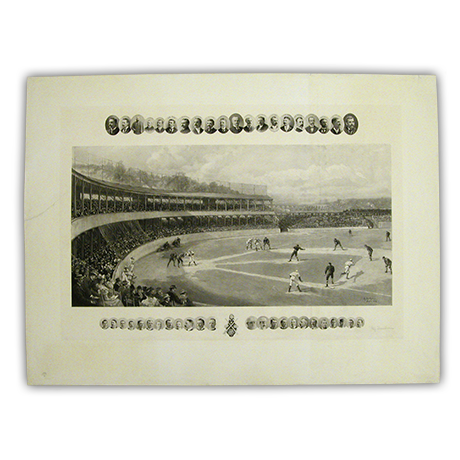 This large lithograph was printed using a special technique called chine collé. 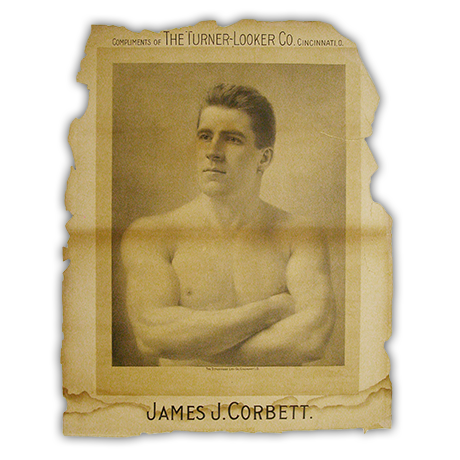 In this process, the image is printed on very lightweight paper that is adhered to heavyweight paper during printing. 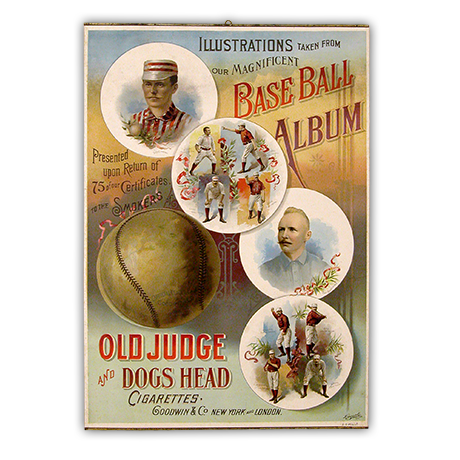 Because the lightweight paper had begun to separate from the heavier paper, conserving this piece was a challenge. Our conservators washed the print and reduced the appearance of its disfiguring stain.